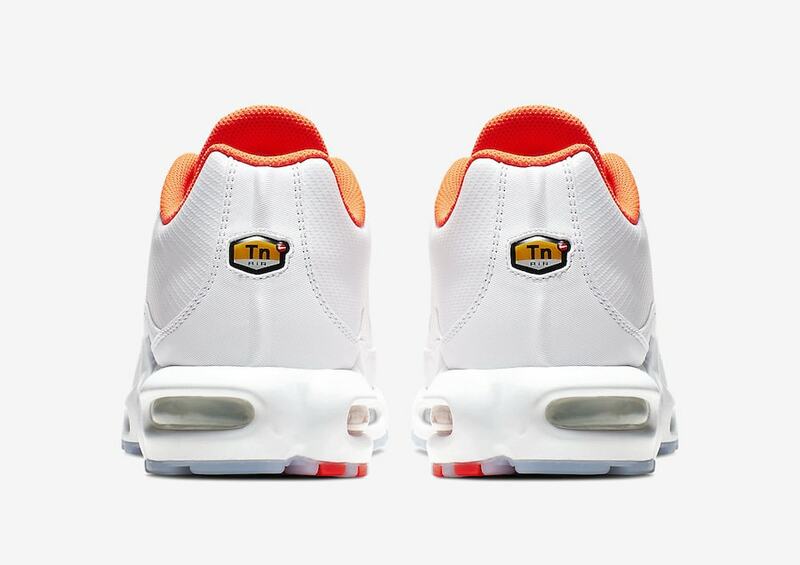 Originally the Nike Air Max Plus TN SE was exclusive to Europe. Now with the resurgence of retro runners, Nike looks to release updated iterations for all sneaker fans to enjoy regardless of their location. 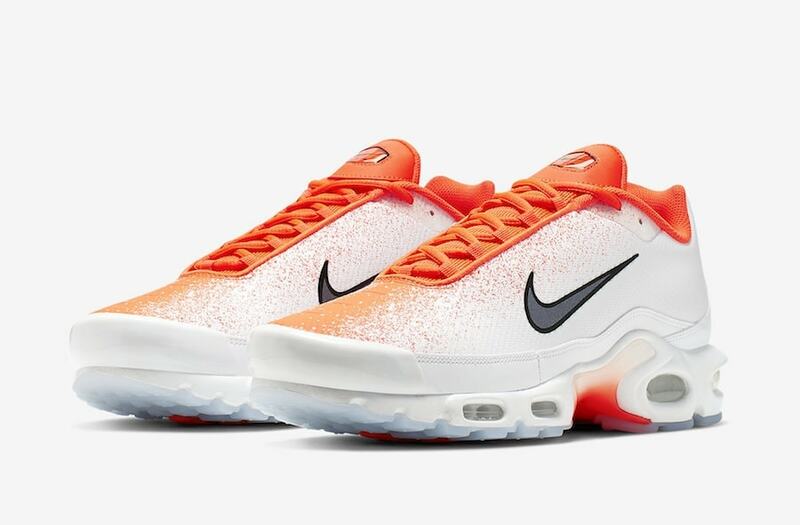 Making its debut in 1998, the Nike Air Max Plus TN SE was loved by many. Through hundreds of different variations, the shoe has been a remarkable model. Although it keeps its ties to the 90’s “tuned” Air technology, the silhouette takes on an updated look this time around. The cage that normally surrounds the shoes’ upper is absent which allows the aesthetic of the sneaker to really shine in an all white colorway. 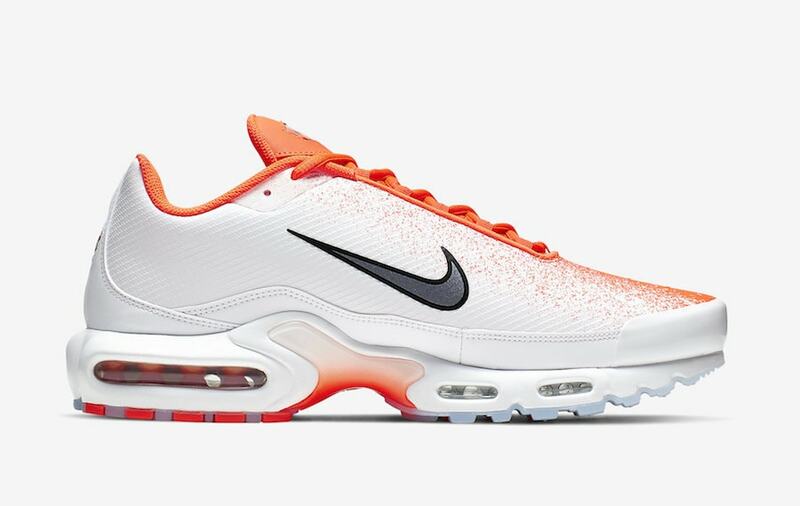 Then, a gradient spray paint design of “Hyper Crimson” is splashed on part of the upper and the toe box. The color continues as the tongue, laces, and inner liner are all vibrant in orange. 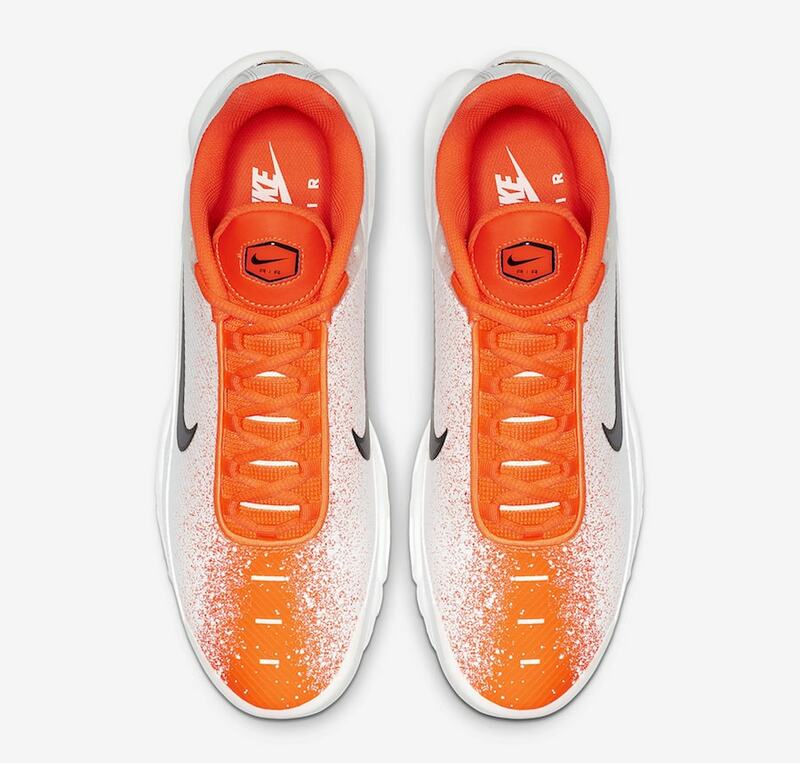 Black accents then contrast the bright white and orange as it makes up the branding on the tongue as well as the iconic Nike Swoosh on the sides of the shoe. 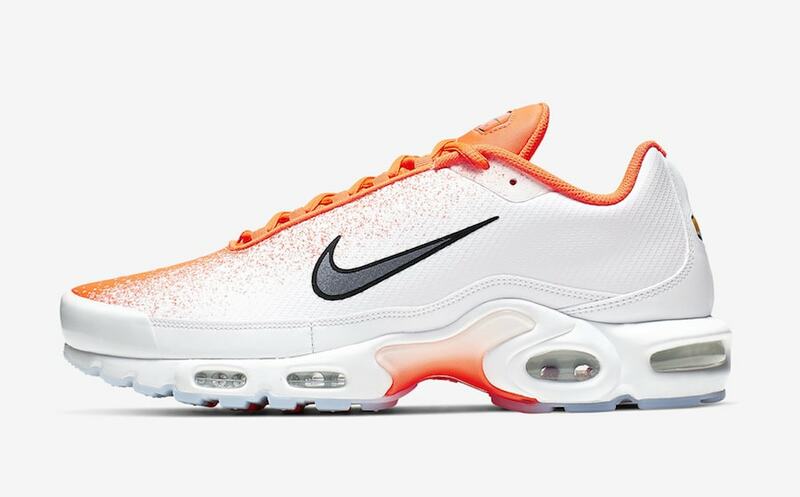 To finish the look off, the 90’s runner sits on top of a white midsole and a translucent icy blue outsole that both contain hints of orange. Currently, there is no official release date but look for them to drop this Spring season. 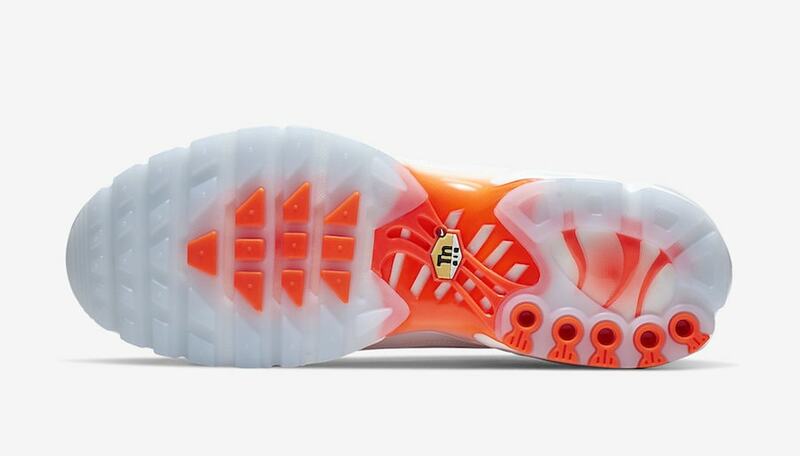 They will become available at select Nike retailers and Nike.com for a retail price of $160. 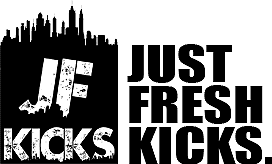 Check out more images below and stay tuned to JustFreshKicks for updates as well as other Nike Air Max news.